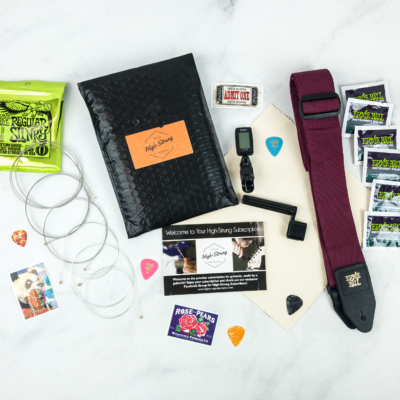 High-Strung is a monthly box subscription for guitar players made by guitar players! 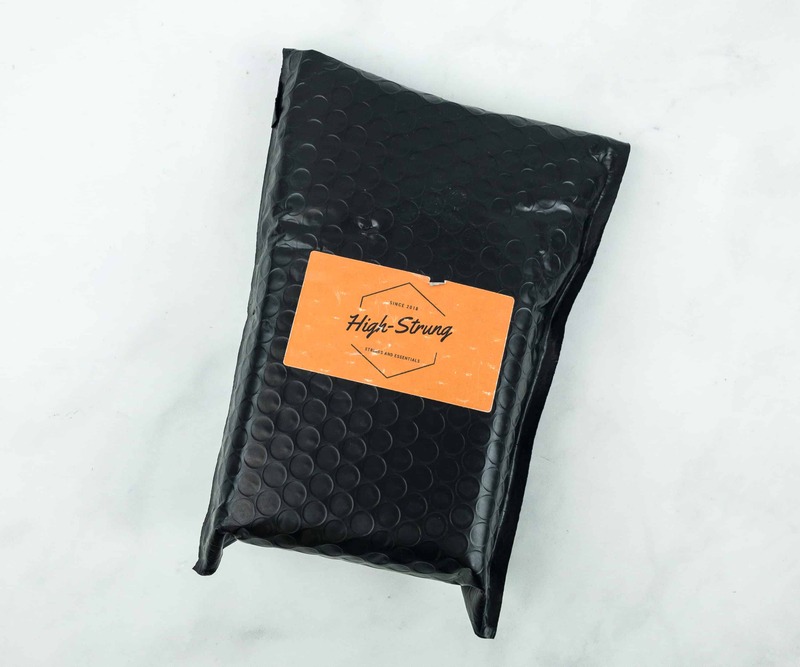 Each month, they will send out a fresh set of acoustic or electric guitar strings, pick, and other exclusive tools and accessories to keep your guitar look good and play good. So pick your strings and get ready to rock! DEAL: Get 20% off the first purchase (good for all terms) Use coupon code HELLO20 . The box includes an info card that welcomes us to the subscription. 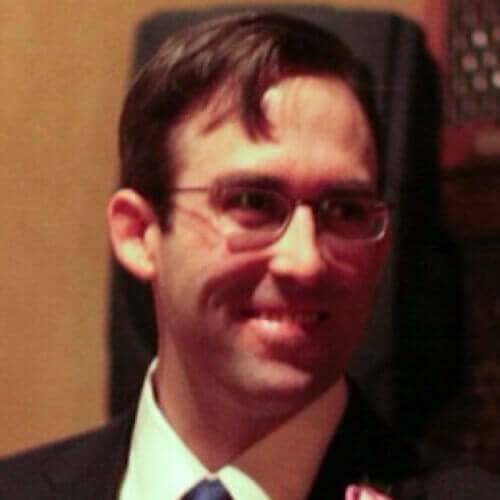 It also indicates that there is an exclusive Facebook group for High-Strung subscribers. 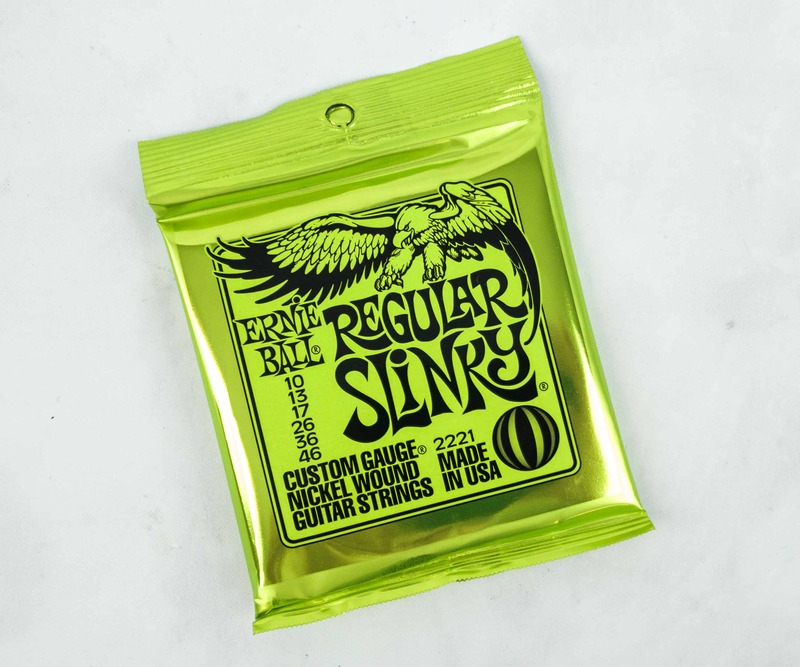 Ernie Ball Regular Slinky Custom Gauge Nickel Wound Guitar Strings ($4.45) This set of guitar strings are made in California. 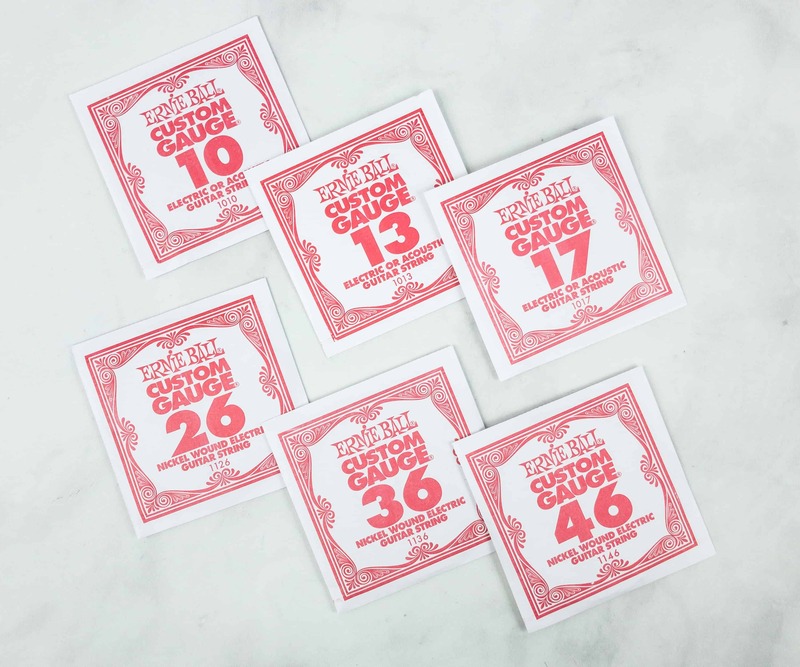 It’s one of the top-selling string set,s and are used by musicians around the world like Eric Clapton, John Mayer, Steve Vai, and many more! 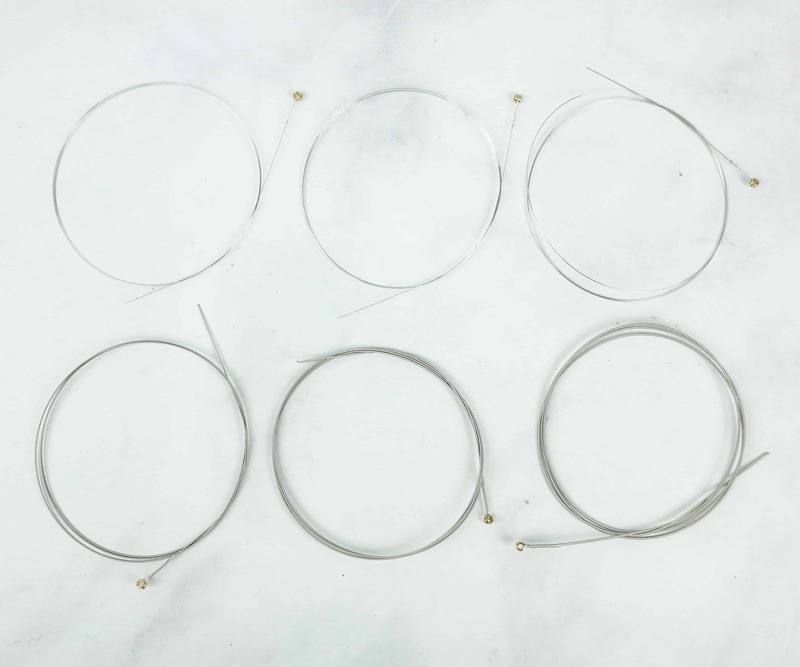 These strings are available in six different gauges: .010, .013, .017, .026, .036, and .046. 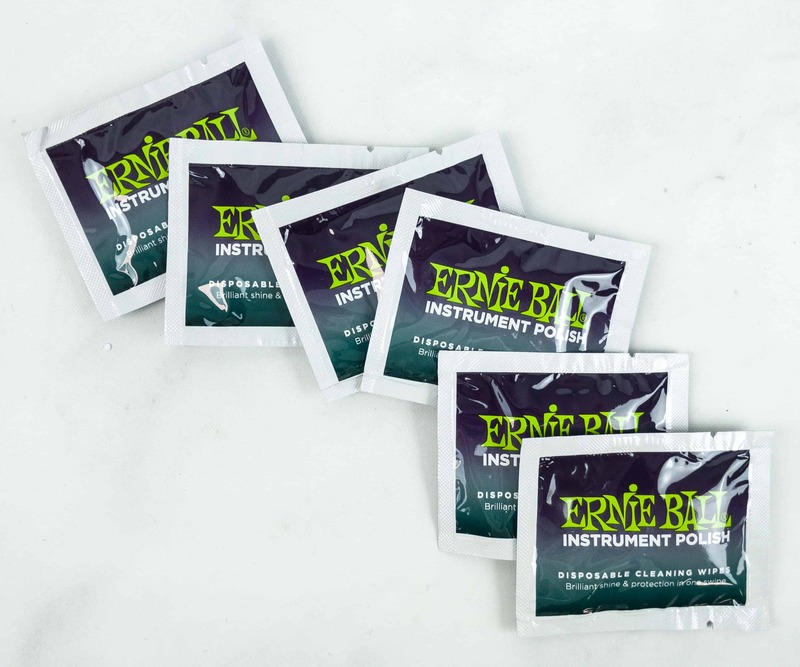 Ernie Ball strings are made from nickel plated steel wire, producing a signature slinky feel and balanced tone. The core is made from tin plated high carbon steel hex wire giving superior intonation and excellent durability. 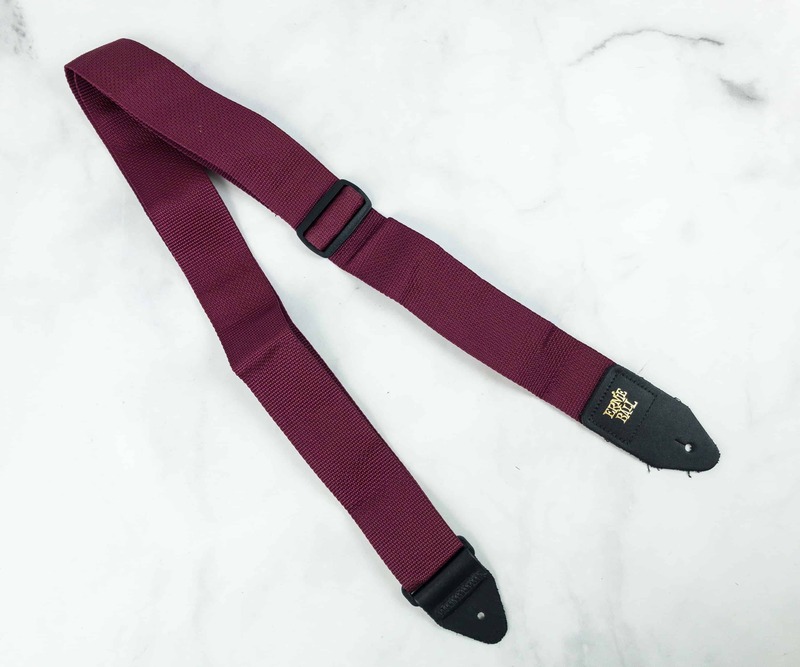 Ernie Ball Polypro Guitar Strap ($5.80) Guitar straps are an essential accessory for a great guitar player and performer. It makes guitar handling much easier which results in a better strumming. 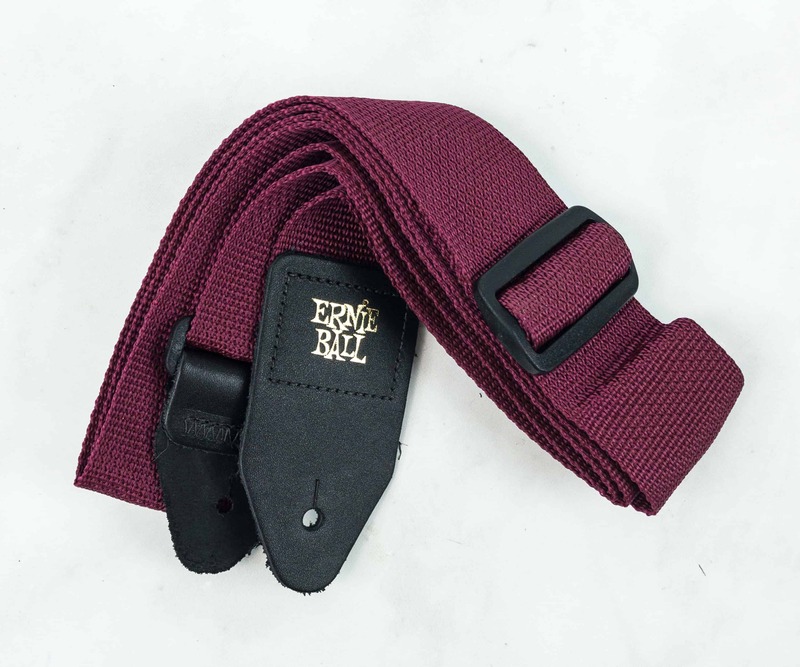 This strap from Ernie Ball is made from premium quality materials with polypropylene webbing, computer stitched leather on each end, adjustable buckle, and connector to enhance durability. 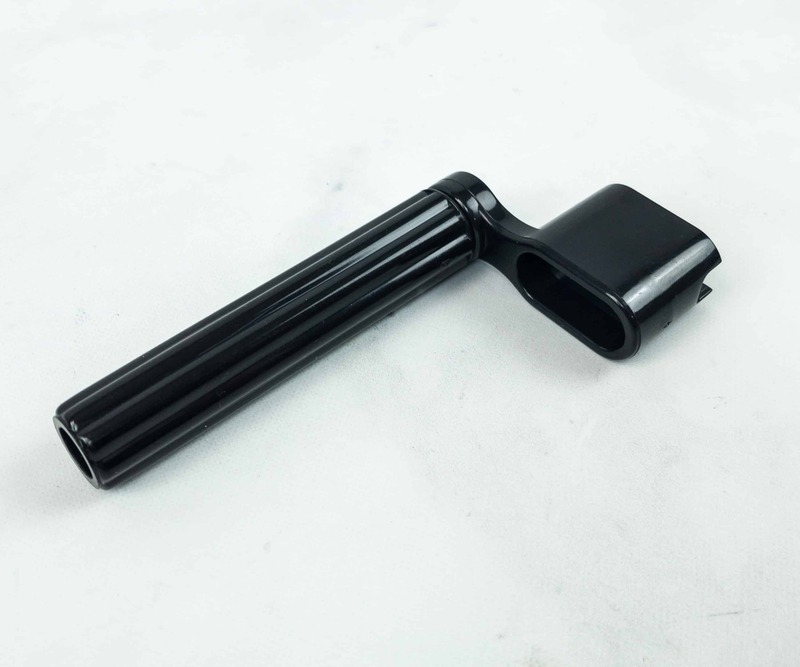 String Winder. 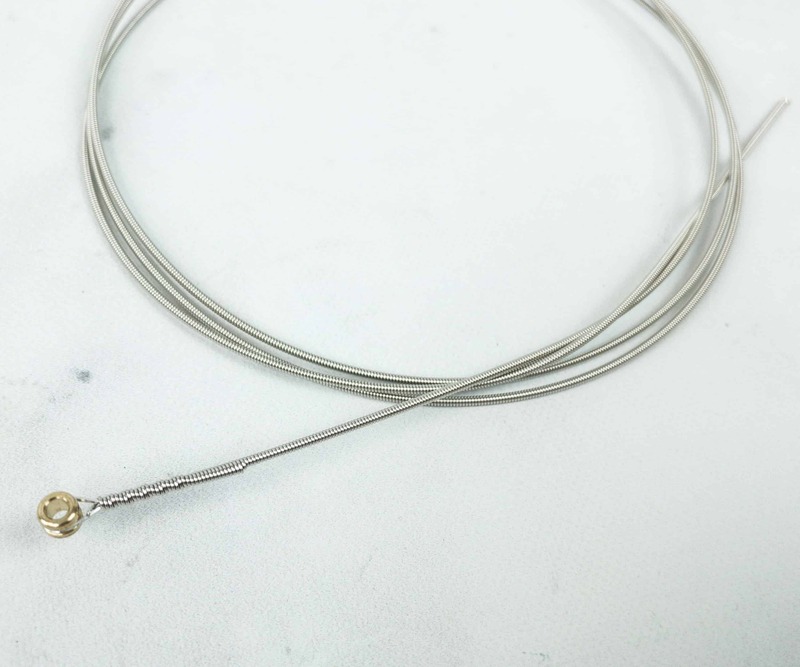 This guitar accessory makes changing of guitar strings a lot quicker and easier. 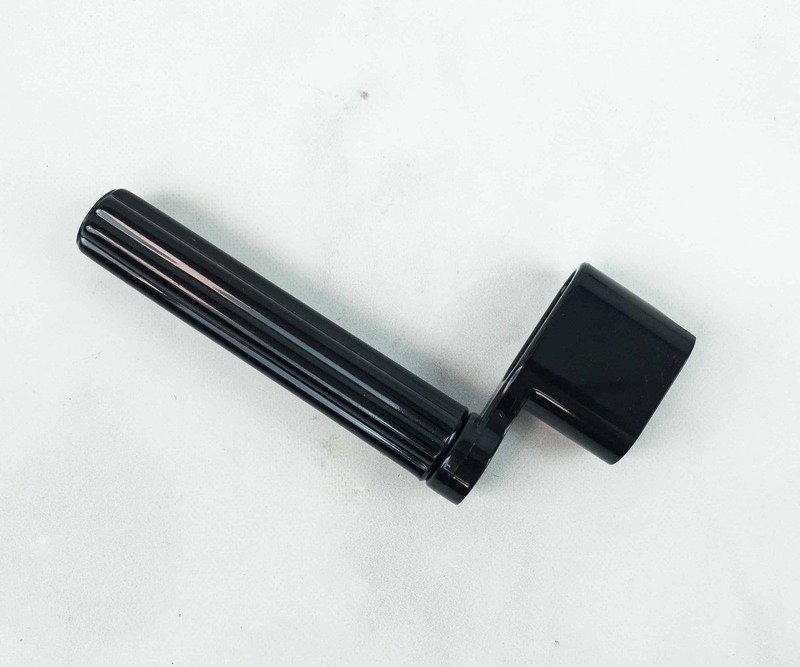 It’s so easy to use, simply put the notched head string winder on the tuning keys, turn it around and let the string loose. 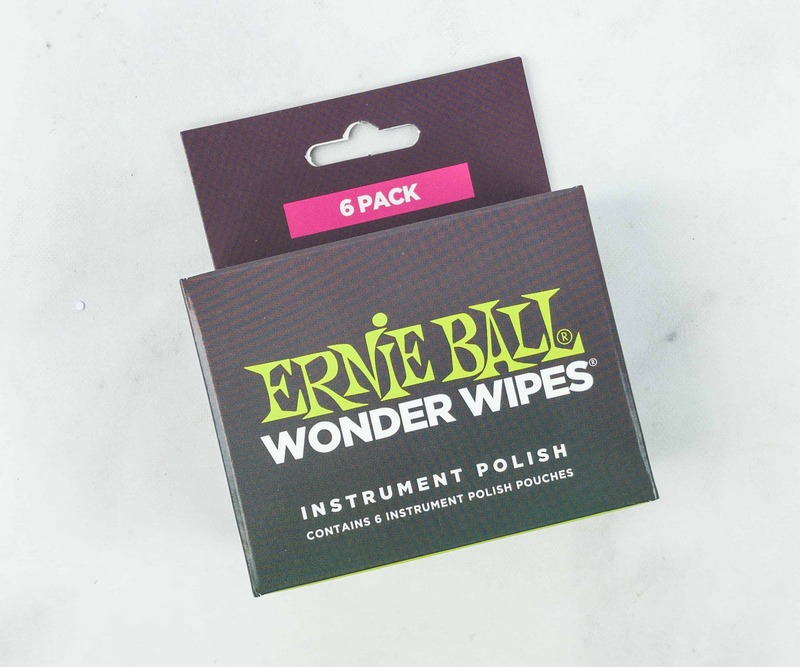 Ernie Ball Wonder Wipes Instrument Polish ($1.69) Keep your strings clean all the time and extend their life using these wonder wipes from Ernie Ball. 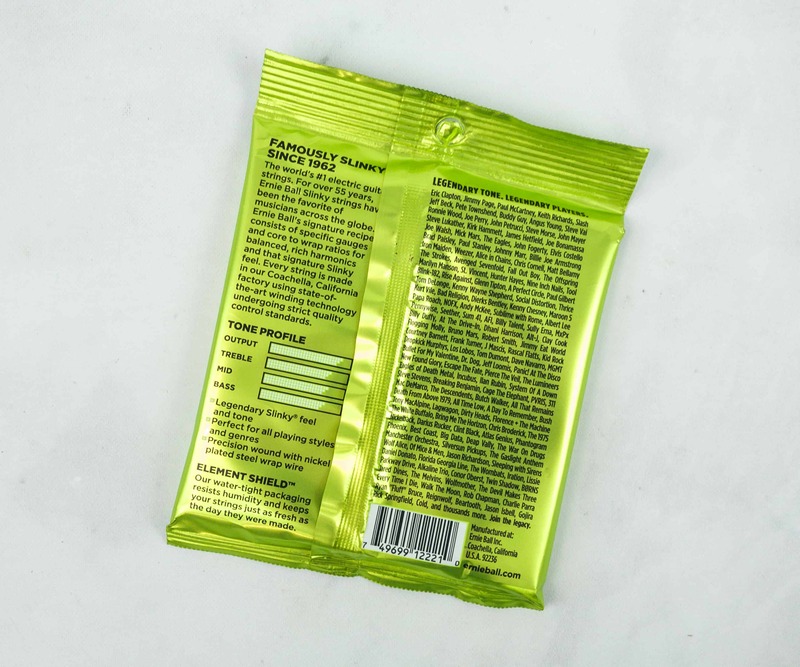 The box contains six pieces of individually pack disposable wipes. 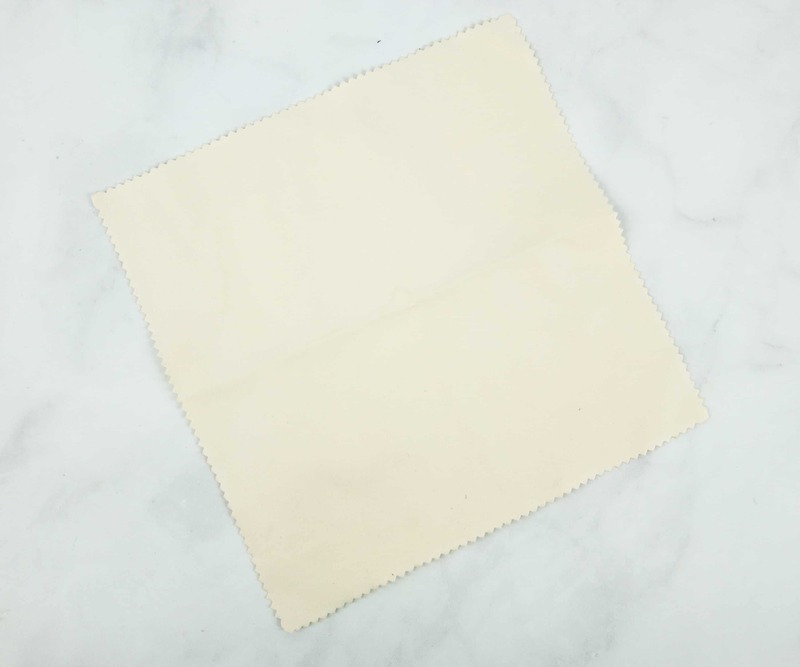 Each wipe contains a lubricating formula that eliminates acid, dirt, and grime while keeping it polished, in tune, and maximizing the life of the strings. 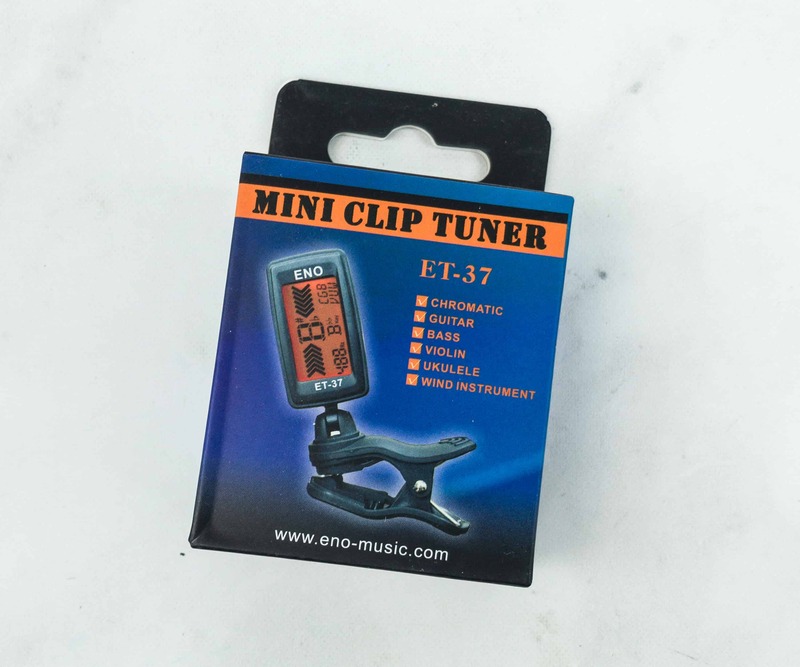 Eno Music Mini Clip Tuner ($3.66) It’s easy to keep a guitar in-tune all the time using this portable mini clip tuner. 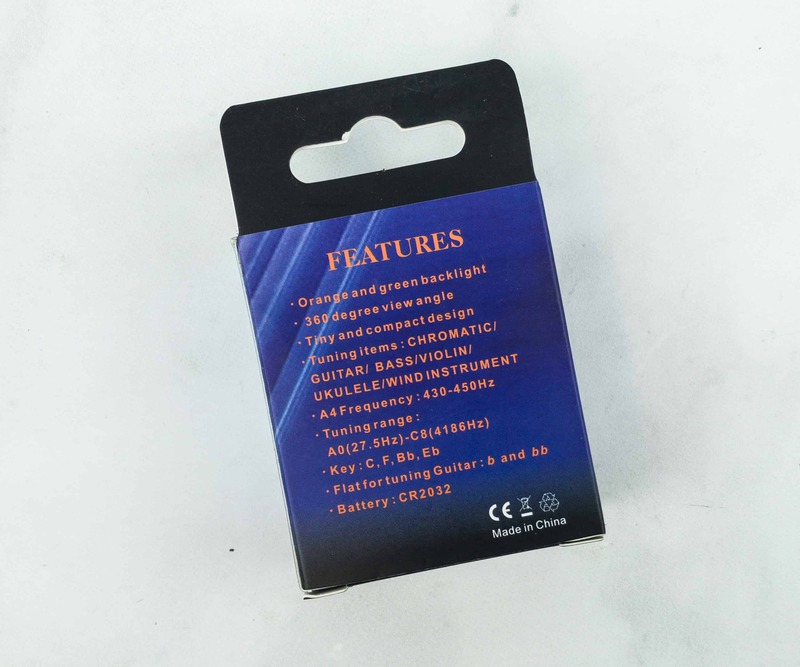 Printed at the back of the box are some of the features of the digital tuner. 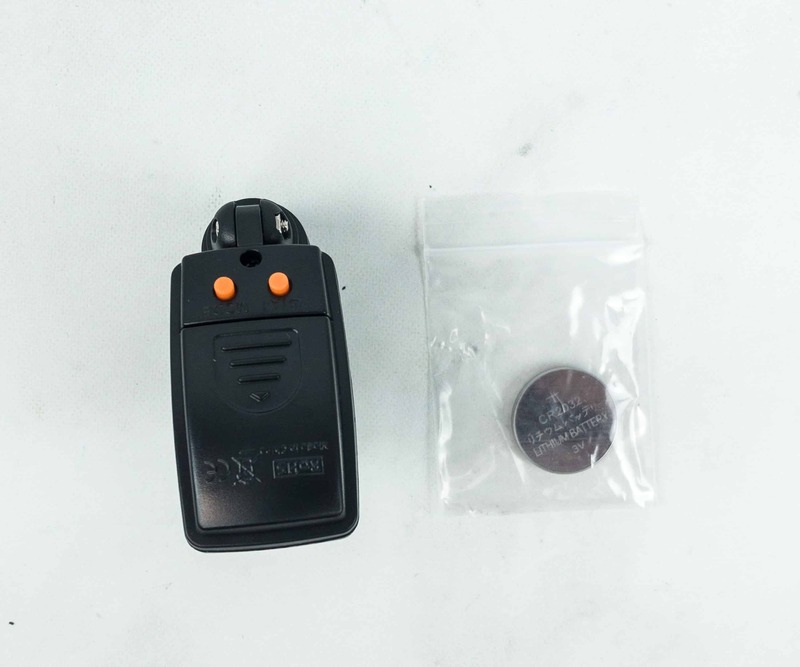 This digital tuner comes with a CR2032 battery. 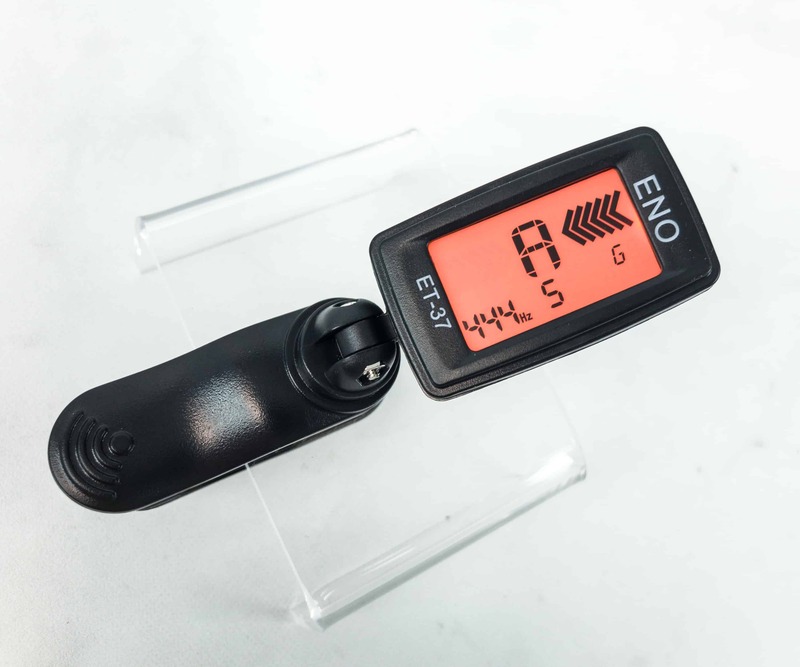 The clip is so light and handy, and the LCD is 360 degrees rotatable, making it the ideal tuner because you can adjust the strings at your most suitable angle. 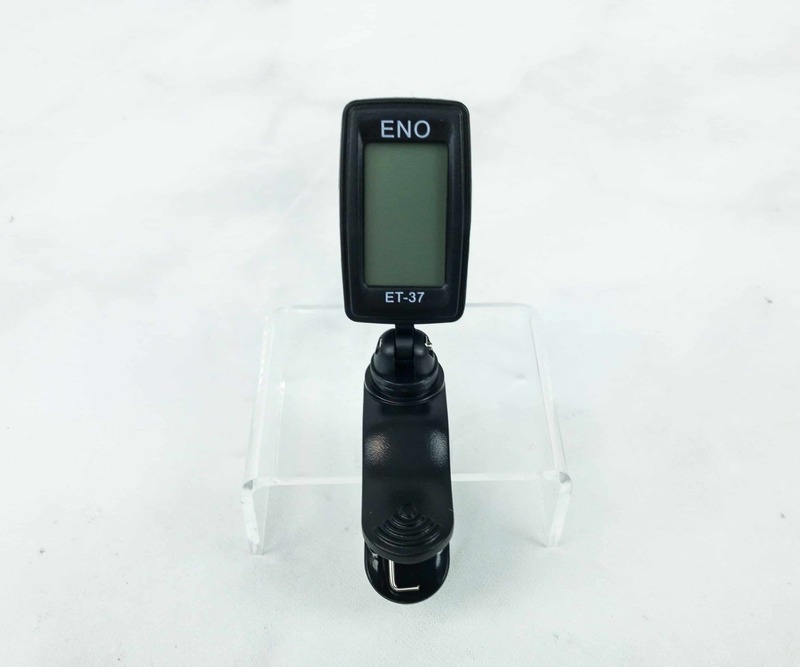 It’s so easy to use, simply clip the tuner on the guitar, strum the desired string you want to tune and tuning accuracy indicator will turn orange if it’s out of tune, and green if in tune. Unsurprisingly, my voice is out of tune! 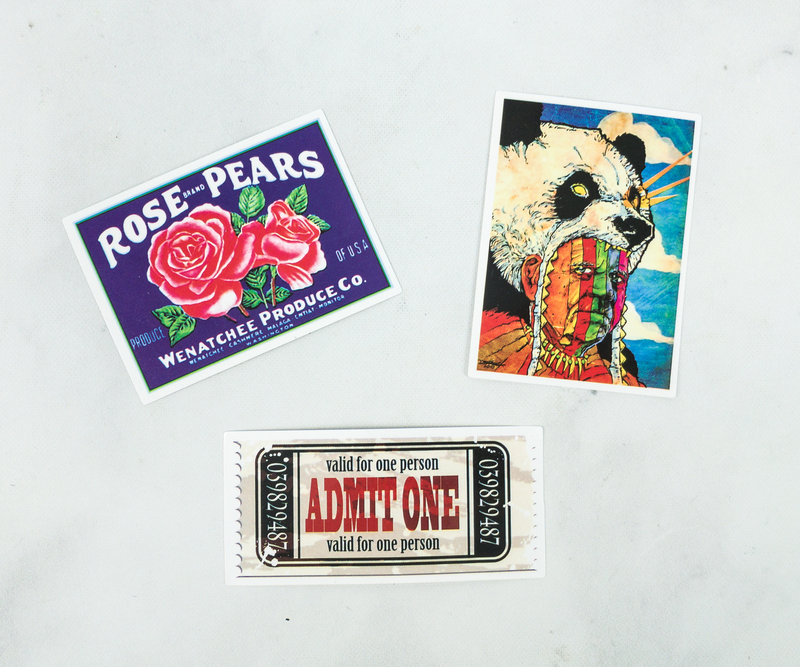 The box also includes a variety of cute and colorful stickers. 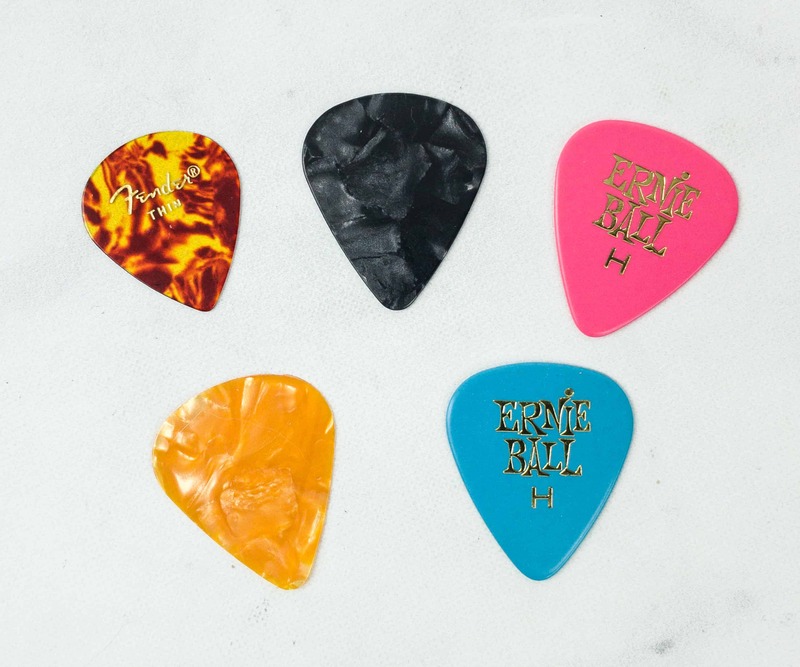 Ernie Ball Guitar Picks (Assorted) – These assorted picks from Ernie Ball are made from cellulose acetate nitrate, making it so thin, light and durable. I love all the picks but what stands out the most is the firey red. 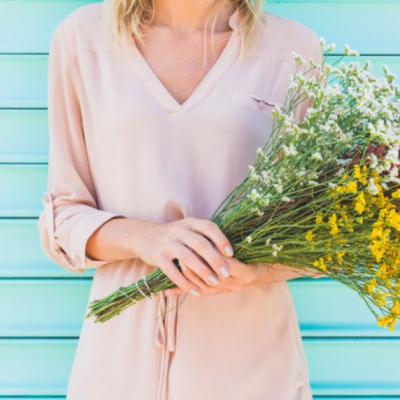 This is my first High-Strung subscription box and I really find everything so amazing! The box is full of fantastic guitar accessories that are so useful and stylish as well. It’s good that they included a tuner. It’s a must have for any guitar player, whether newbie or a pro. I also love the String Winder, it makes changing of strings so easy. If you are a guitarist who loves to upgrade and play music, then this is definitely the box for you! Any thoughts about this month’s box? 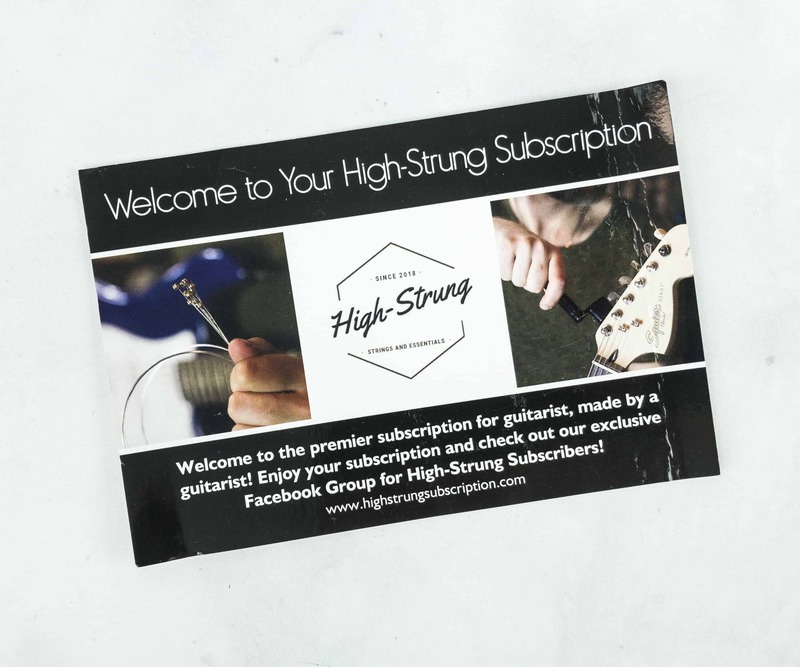 Visit High-Strung to subscribe or find out more! 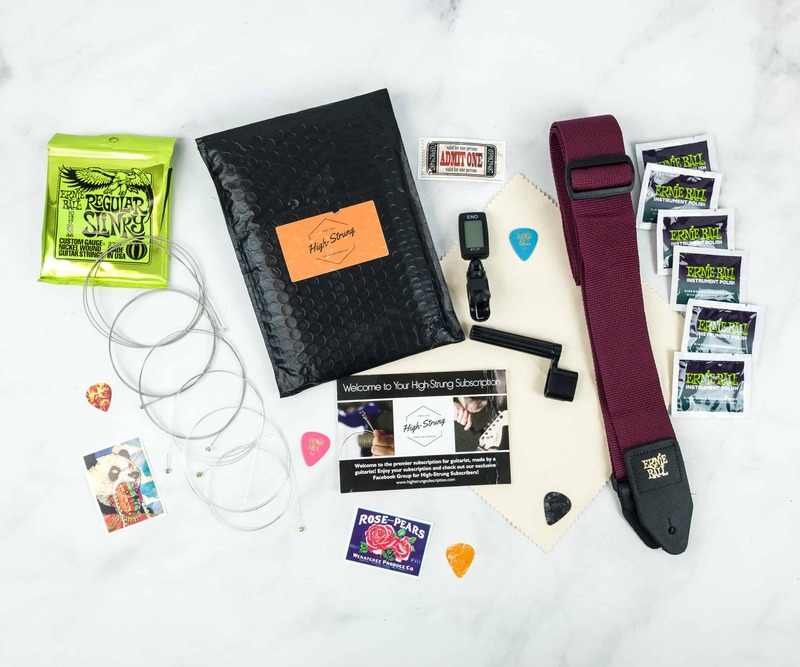 High Strung Subscription offers guitar strings, picks, and professional guitar maintenance tools in a mailer filled with everything you need to get your favorite axe back on stage. Pick your strings and get ready to rock. Get 20% off the first purchase (good for all terms) Use coupon code HELLO20 .